These have to be my favourite Christmas cookies. It is easy to make, easier still to decorate and absolutely delicious. Plus, it keeps really well so if you make enough, they could last you a whole month. It absolutely wonderful served with a cup of tea! Now, you must not compromise on the quality of the maple syrup as that makes or ‘breaks’ this cookie! This is originally from a Martha Stewart recipe that I have modified. – Combine flour and salt into a medium bowl. – Beat butter and granulated and brown sugars with a mixer on medium-high speed until pale and creamy, about 3 minutes. Reduce speed and add yolk, then 1/2 cup maple syrup, beating well after each addition. Add flour mixture, and beat until it is mixed in really well. Shape the cookie dough into 2 flat disks, wrap each in plastic, and refrigerate for at least 1 hour (or up to 2 days). When you are ready to bake, you will have to let the dough soften a little, otherwise, it is too hard to work with. – Preheat oven to 325 degrees. Coat baking sheets with cooking spray and line with parchment paper. – Roll out 1 disk of dough to 1/4-inch thickness on a floured surface. 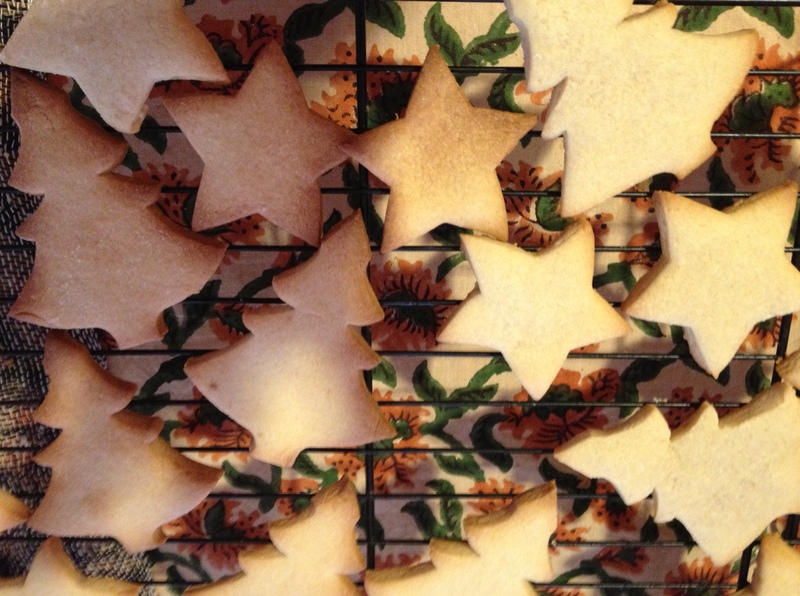 Cut out cookies from dough using a cookies cutter, and space 1 inch apart on sheets. 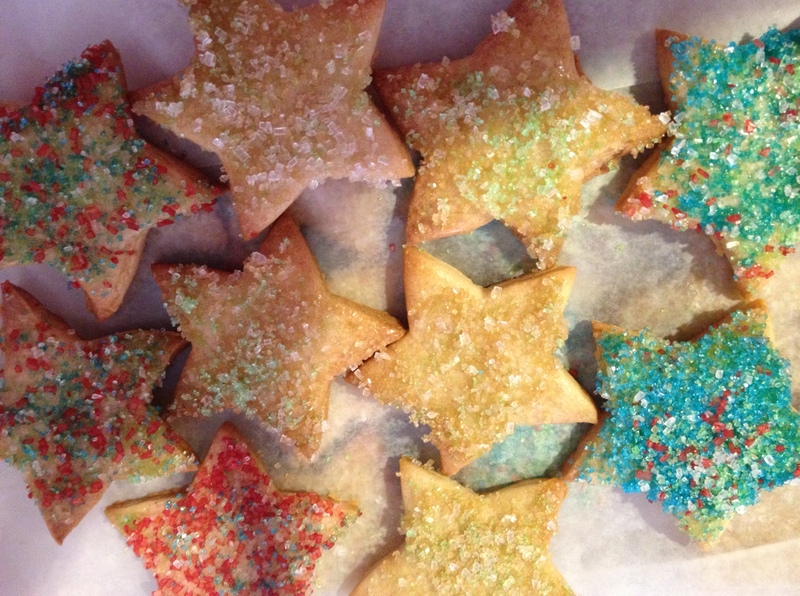 – Bake cookies until edges begin to turn golden, 11 to 12 minutes. Transfer parchment with cookies to wire racks, and let cool for 5 minutes. 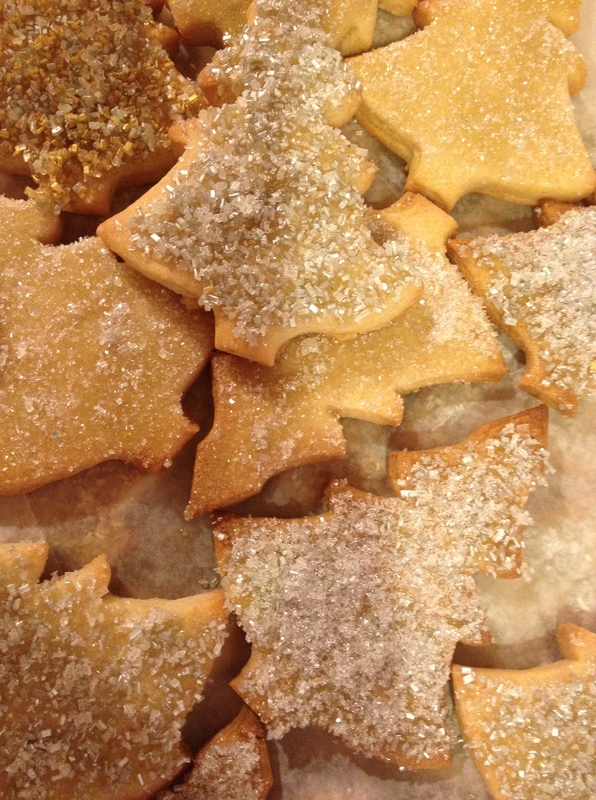 – Brush cookies liberally with maple syrup, and sprinkle sanding sugar. Let cool. 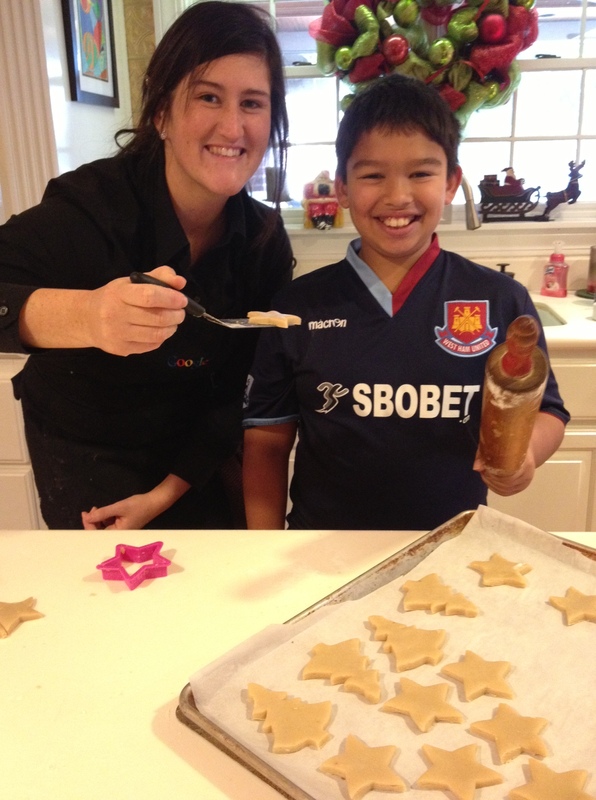 Give them some sanding sugar and let them get creative.